My good friend Erik and his friend Angel, with some help from their families, have created a video based on A Michael Crichton Christmas! I am just overwhelmed! It’s amazing and I can’t believe they put all that work into it! So enjoy! And a Merry Christmas to all! 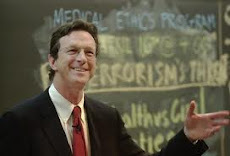 Visit Erik's Michael Crichton Collection! Lynn Nesbit, Michael Crichton’s literary agent for 37 years. She signed him in 1965 while he was still a medical student. Chris Mooney, contributing editor to Science Progress. His forthcoming book, “Unscientific America,” deals in part with science and Hollywood. He’s also the author of “Storm World: Hurricanes, Politics, and the Battle Over Global Warming” and “The Republican War on Science.” He blogs at The Intersection. Nesbit revealed that Crichton’s medical degree from Harvard was in psychiatry.